Wow! Amazing day! 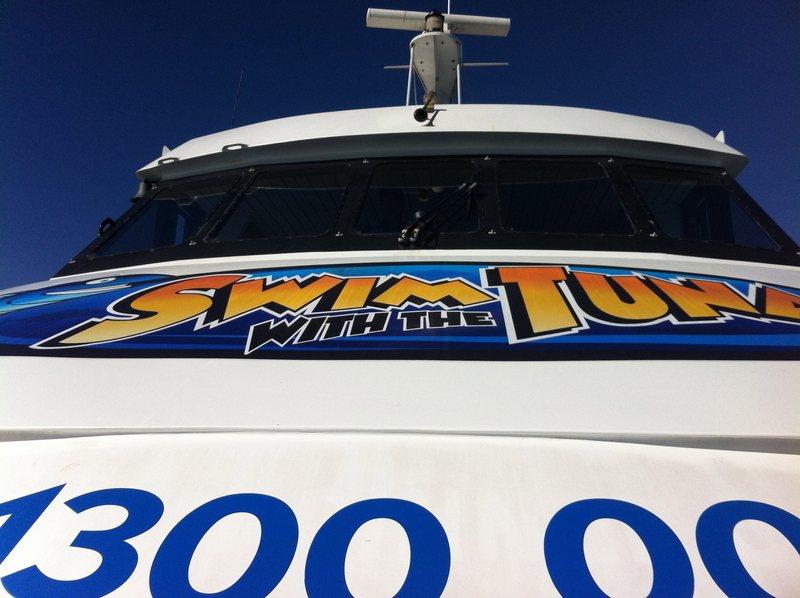 We’re currently in Port Lincoln. It’s the home of Great White (or also known as White Pointer) Sharks. They shot most of the actual “JAWS” shark scenes down here and this port is second only to Rio De Janeiro in size – that’s pretty incredible! 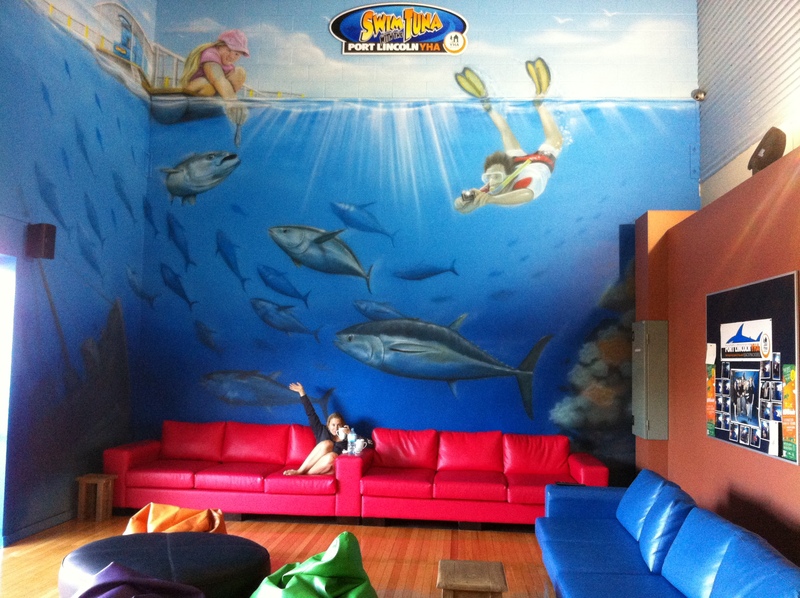 We started off at the Port Lincoln YHA – This place is cool! It’s brand new! And, it’s got incredible hospitality! I seriously cannot believe how clean this place is. It’s by-far the nicest place I’ve stayed.. including hotels all over the world! If you want to check this place out, click on the link above. And, then you arrive here! 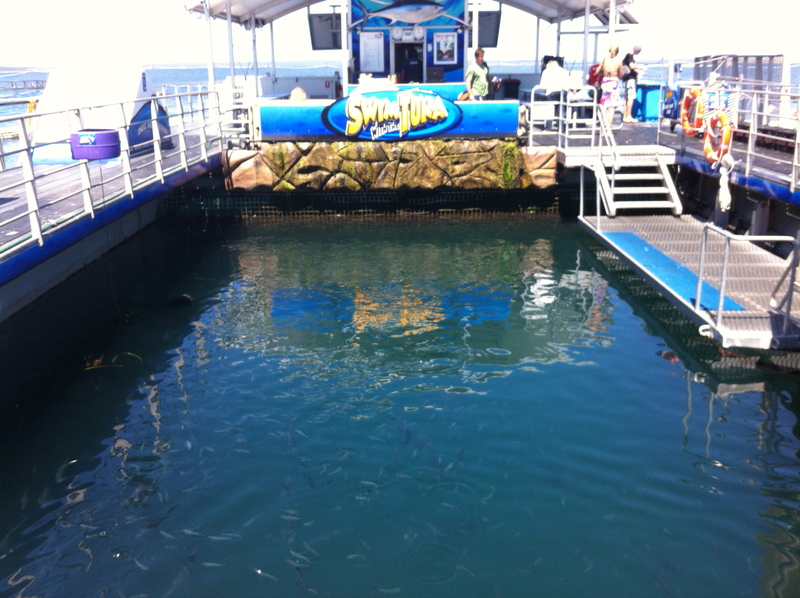 This is where the Tuna live and you swim! It’s a pretty cool place! If you don’t have your own wet suit and gear, don’t worry – they have it all there for you in all shapes and sizes, so no problem if you have no gear! The Tuna fish is fourth fastest fish in the ocean! That’s kinda cool, and man… let me tell you, when you’re holding bait they easily come up and BANG! It’s gone! We were surrounded by fish! Seriously! Not just Tuna – all different kinds! And it seemed like they never ate before! They would eat a fish I was holding clean down to the bone in ten seconds! TEN SECONDS! 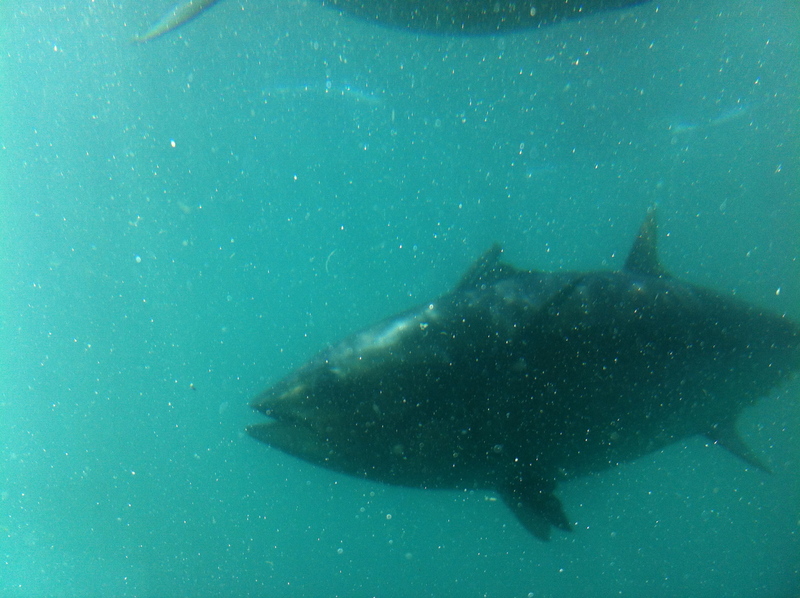 The video of the Tuna I have is incredible – after the smaller fish had their way with the bait, the fish head and skeleton would fall down and then in a second, all the small fish would clear out and then BAM the tuna comes right up and inhales the remnants in one gulp – and if you blink, you’ll miss it! It was even hard to take photos – because as soon as I clicked the button, they were gone out of the shot! If you are the type that prefers to stay dry – no worries – they have a viewing area where you can watch and also a small fish and creature touch pool! Then, after a few hours of swimming, it’s time for a little Boston Bay tour! I’ve asked a few people where the name Boston Bay comes from and the Google Gods, and there doesn’t seem to be any answers – but Ill keep at it – but I can tell you that there’s more millionaires in Port Lincoln than anywhere else in Australia. Now, that’s pretty cool. It’s mostly because of all the Tuna that they sell to Japan. The prices that the Tuna goes for is insane and the guys really benefit from it! And it really reflects on the town, too! 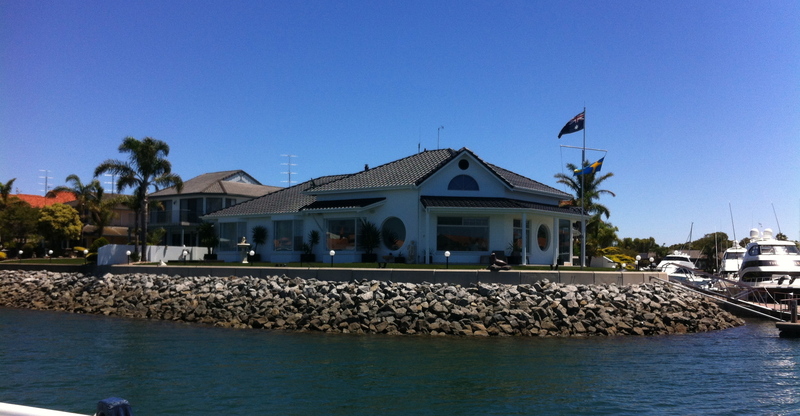 And, THIS is the Able Tasman. This is the SECOND largest fishing boat in the world. It’s a super trawler. (And, if you’re not familiar with it, this is what a trawler does) Here’s the WIKI LINK to the Able Tasman. This boat has been pulled off the seas because it can seriously take in a lot of by-catch – like trapping seals, dolphins, endangered turtles and so on… which is really considered bad when you think about it. It can catch 250 tonnes of fish PER DAY! CRAZY! Info on that too here. But only in Australia, have they turned it into a giant fish freezer – Here’s more info on that. Previous Previous post: What a find! Next Next post: Terrible name, stunning views! Glad to see how much fun you are having down here in SA, hope the good times keep on rolling. There are a lot of mis-truth’s out there about the Abel Tasman, so to label it out right is ‘bad’ is a big call. 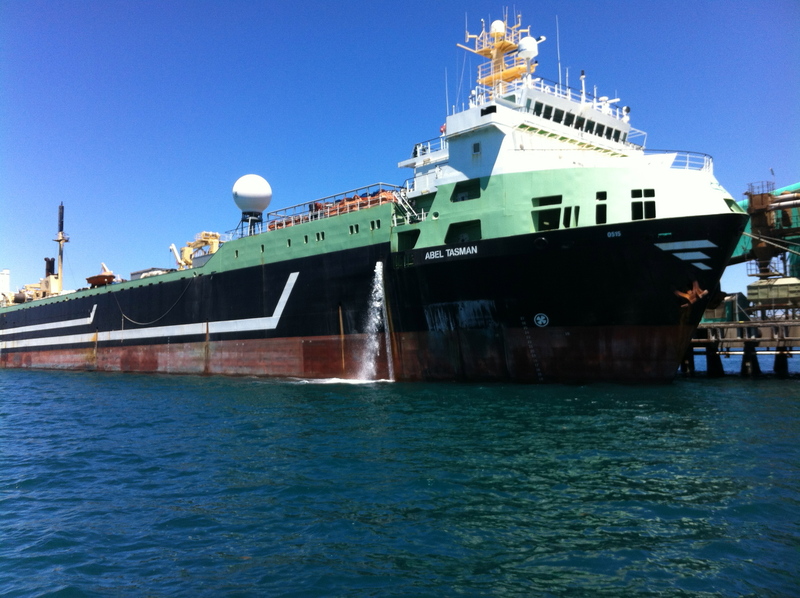 Seeing as you seem quite interested in giving your readers some extra info on the issue you should include the following link to the Australian Fisheries Management Authority website: http://www.afma.gov.au/2012/08/super-trawler-faqs-3/#twiceasbig. 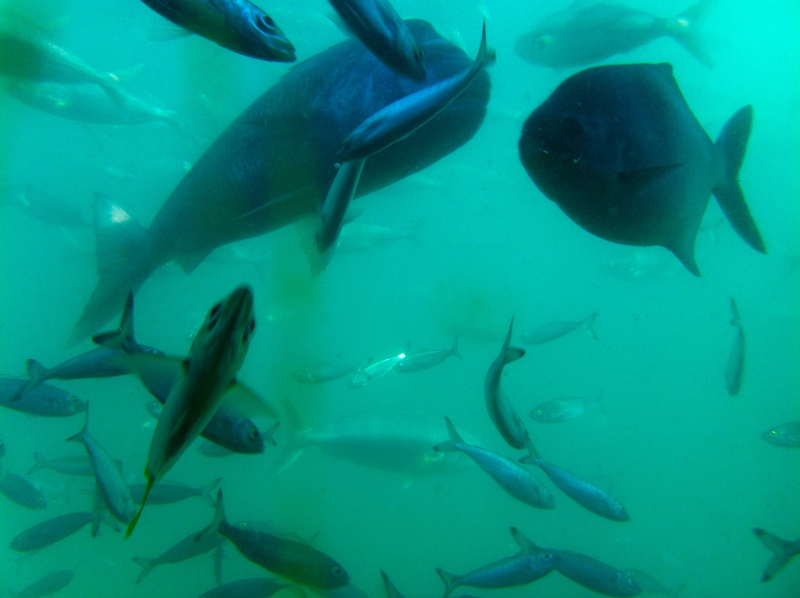 This agency does a fantastic job of managing Australia’s fisheries resources. It is quite embarrassing how the whole ‘ban’ went down, as the decision was based on political populace rather than sound scientific justification and made a mockery out of one of the best fisheries management systems in the world. 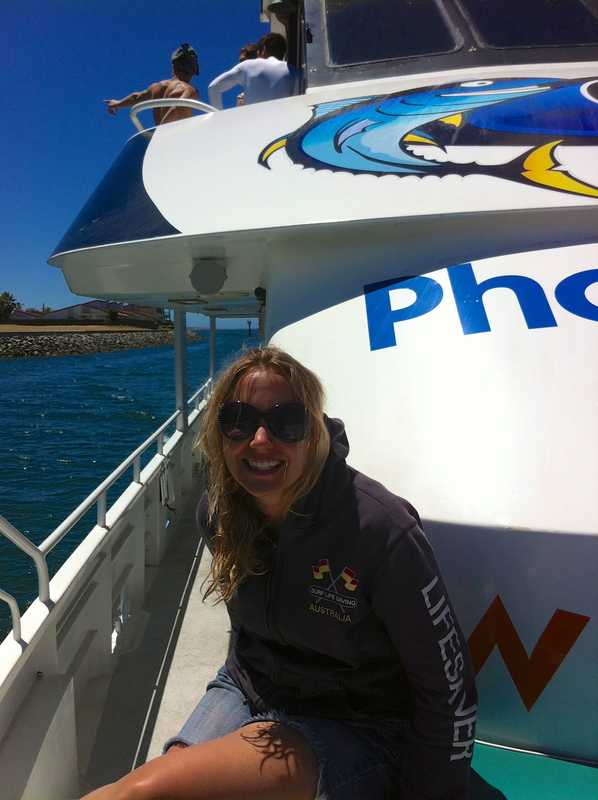 Hi Claire, thanks for providing a link to the official Australian Fisheries Management.